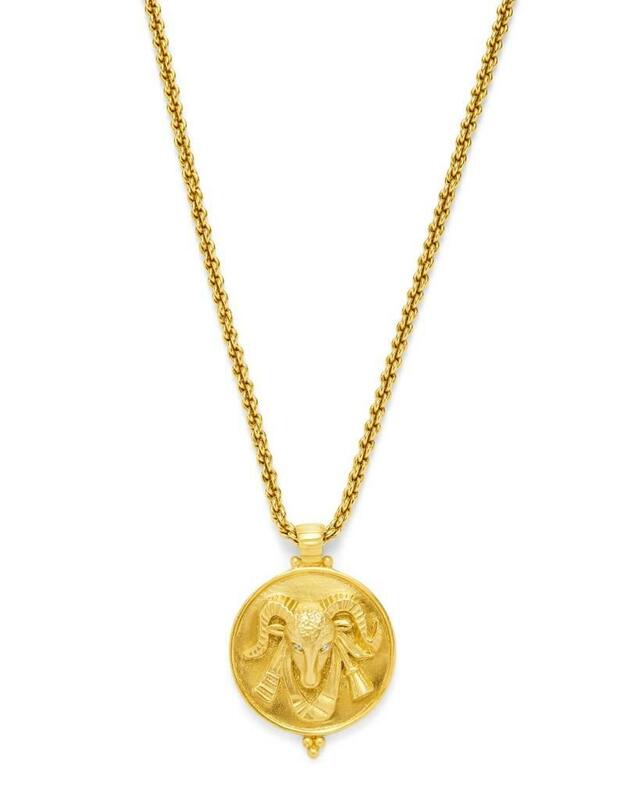 The auspicious ram, displaying magnificent horns and sparkling eyes, is finished with a trefoil of gold beads. 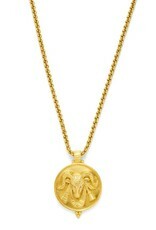 26 inch chain doubles to 18 inches. 1.75 inch pendant. 24K gold plate. Julie Vos hallmark.